This muffin was simple, sweet and easy. The way life is meant to be. Don’t get me wrong, I love fancy cakes. With layers, fillings and frostings. They’re stunning to look at and exciting to cut into. But after dealing with the everyday dramas of life, every now and then you can’t beat simple. The perfect snack to come home to after school. To fill up on after jumping on the trampoline with friends. To pick at while catching up with friends over a cup of tea. And to grab before heading out to the evening’s futsal match. So when you are ready for some sweet simplicity in you life, head over to Alisa’s blog, Easier Than Pie to get the recipe. Tags: baking, cakes, cooking, food, muffins, recipes, Tuesdays with Dorie | Permalink. I totally feel the same, a muffin, the perfect little package! oo..yours came out really well!! including the crumb topping!! while i love simplicity.. but i thought these muffins needed a bit of drama!! 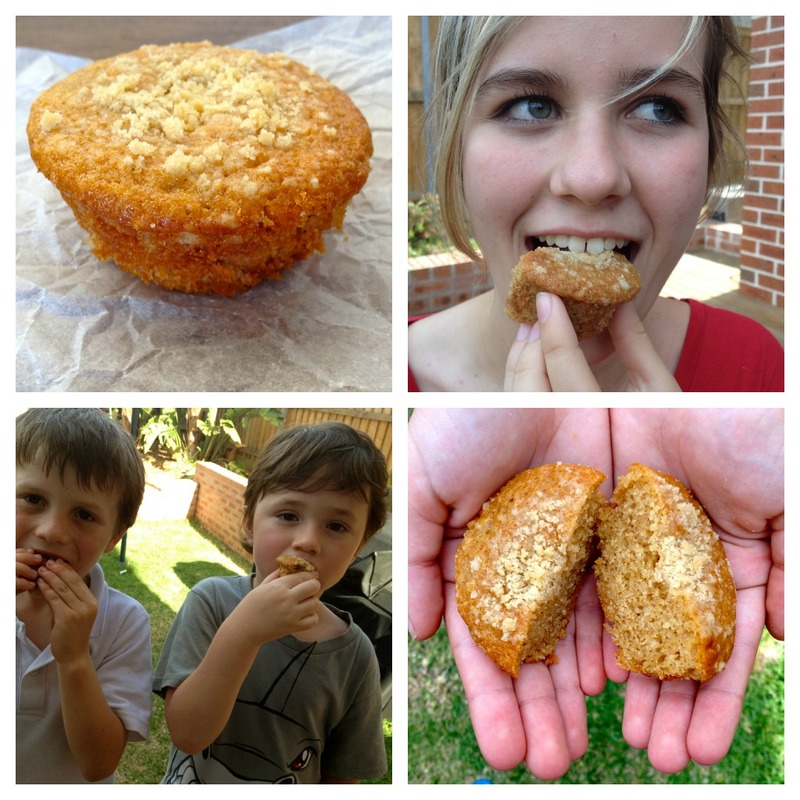 What a wonderful way to present your Buttermilk Crumb Muffins, in words and pictures! They really turned out delicious looking! Love your post, I so agree. But my muffins resembled the Grand Canyon. Bad day in the kitchen. They did taste good however. I really enjoyed reading your post and looking at the pictures… So great! I changed the recipe…very much and luckily they turned out fine! Your muffins look delicate and delicious. Great post! Agreed! Simple is great!Especially on a busy week. I did love how easy these were. Great post. Super simple, super tasty. Thanks for stopping by. everyone looks very happy with the muffins you made!